This Austin Yellow beauty comes courtesy of European Auto Source and features a bevvy of Vorsteiner parts. 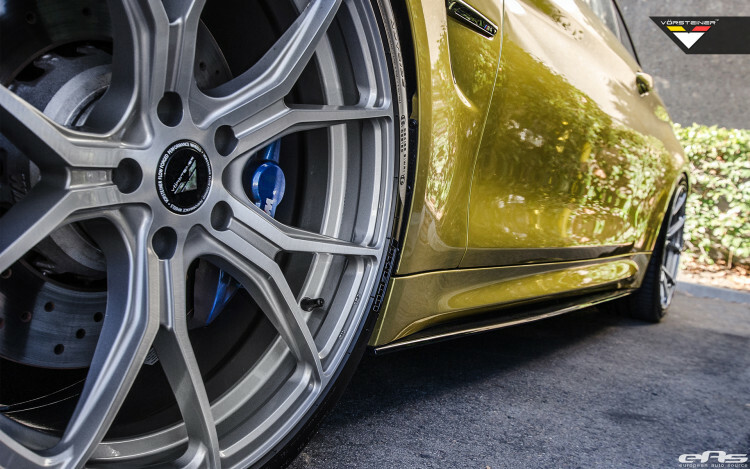 The sports coupe looks utterly clean and the appeal of such a lowered, carbon laden exterior is what turns many owners into modding their vehicles. 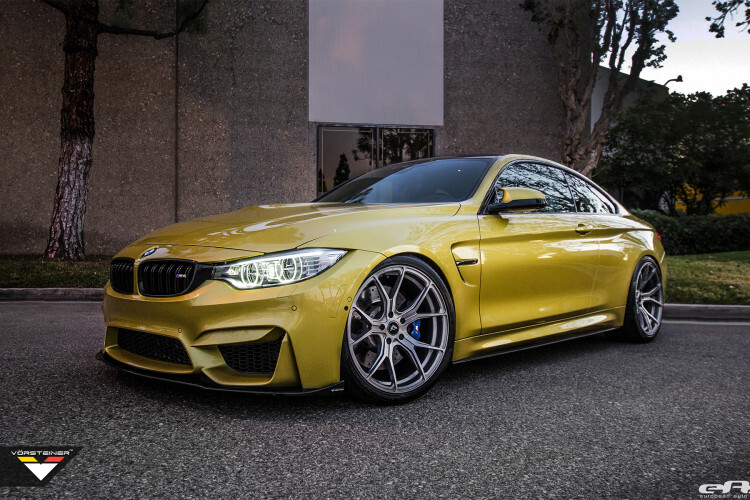 The BMW F82 M4 is equipped with a 3.0 liter BMW TwinPower engine delivering 425 horsepower. Thanks to its smooth and efficient power delivery, this high-performance sedan from the Bavarian car maker can accelerate from 0-62mph (0-100km/h) in as low as 4.1 seconds. The vehicle will keep accelerating all the way to its electronically limited speed of 155mph (250km/h). For some, the M3 and M4 are the best performance sedans/coupes you can purchase in today’s market. 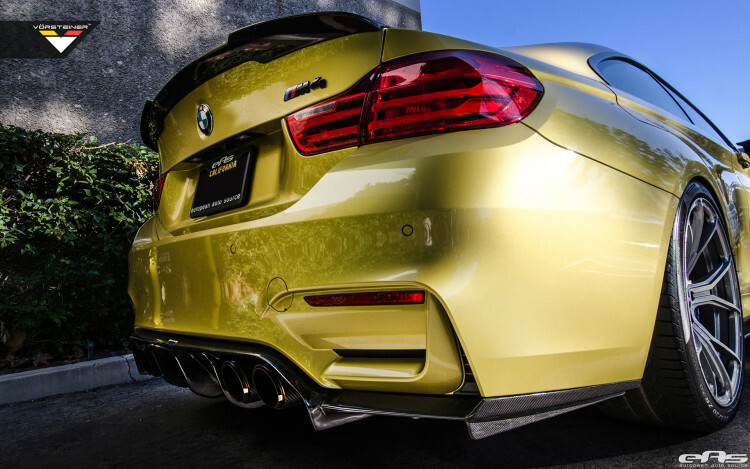 The BMW M4 seen here comes equipped with a Vorsteiner EVO front lip spoiler, Vorsteiner EVO rear diffuser and a Vorsteiner EVO decklid spoiler. All of the parts are perfect examples of what Vorsteiner stands for – high-quality, precision and perfect fitment, yielding excellent looking carbon fiber aero parts. The addition of carbon fiber, especially in the case of an Austin Yellow exterior finish, clearly gives the M4 an aggressive outward appearance. The exterior is also enhanced thanks to a set of Vorsteiner V-FF 103 Flow Forged wheels, sized 20×9.5 / 20×10.5 front and rear respectively. Additionally, the vehicle is equipped with Sabelt racing bucket seats and some other cosmetic modifications as well. Check out this entire build, available in the media gallery below.